reminds me of this one. 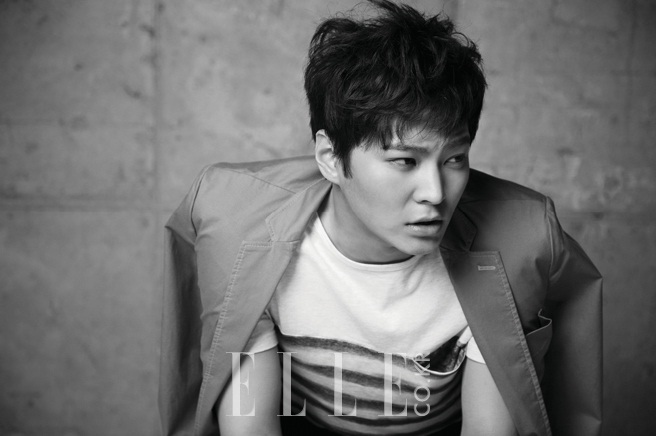 Joo Won is featured in the March issue of ELLE magazine, talking about his experience during filming the currently airing drama 7th Grade Civil Servant. The concept for the photo shoot is ‘Natural & Cool’. He’s that kind of guy, right? 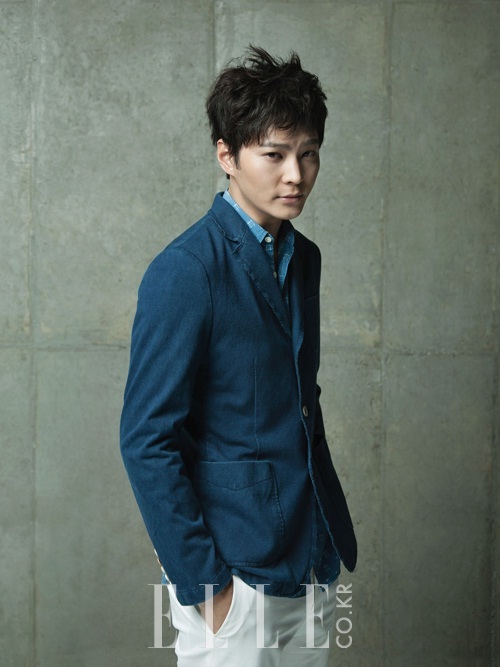 In the interview, Joo Won will share his thoughts on the filming, with one of them about his experience acting with Choi Kang-hee in the romantic comedy drama. I’ve recently managed to catch up with last week’s episodes of 7th Grade and I’ve come to like the drama, although I found episode 1 wasn’t that enjoyable. I almost put it on my ‘to be watched’ list but soon, I had the urge to keep watching and found myself laughing at the dorky Pil-hoon/Gil-ro. Despite Joo Won and Choi Kang-hee’s 13-year difference in age, they manage to make Gil-ro and Seo-won an adorable couple. It’s probably because Joo Won looks mature for his age and Choi Kang-hee is a baby-faced beauty, but their chemistry also plays an important role in it. At this point, I can say that I’m glad that he took this project, because he wanted to do a rom-com before and he will have a good experience acting along with the senior actors and actresses.